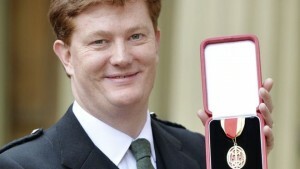 Her Majesty Elizabeth the Second has today conferred Britain’s highest honour upon a series of imamate objects and Danny Alexander who happened to be lurking around the palace at the time. The butter was knighted for services to obesity, the clothes peg for services to clothes and Danny Alexander for services (undisclosed) to George Osborne. “I am truly honoured to be joining the likes of Robert Mugabe, Mussolini, Ceausescu, Bono and of course this utterly splendid clothes peg” said Sir. Alexander. ” I look forward to losing my knighthood in a low profile but thoroughly depressing scandal involving fishing rights in my mid fifties”. Following the ceremony the queen rode out of the palace to greet her adoring public abreast seven terrified Corgis tied together with Prince Phillip’s socks. Because evidently nothing means anything anymore.